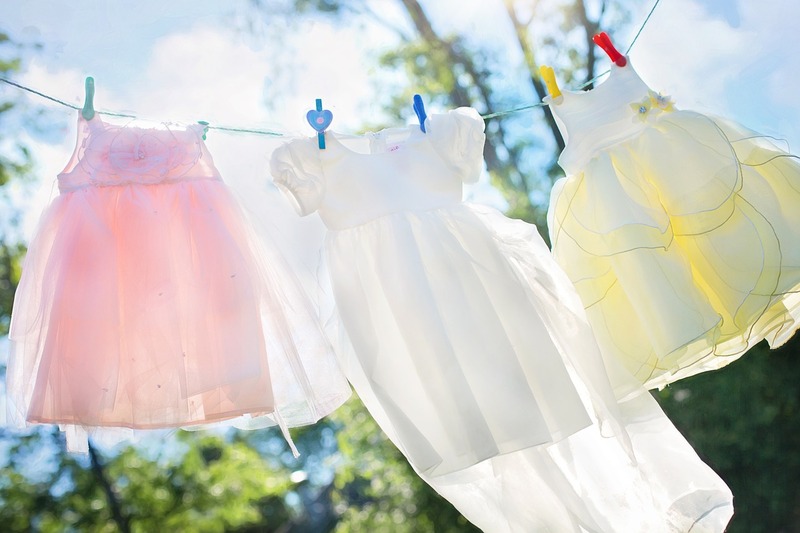 There are a lot of chemicals in laundry detergent products that pollute the environment. Most of the detergents also use fragrances, which can be problematic for allergy sufferers. In this article we look at the most important chemicals and their impact on humans and the environment and introduce brands who offer alternatives to conventional laundry detergents. What chemical substances are in detergents? Today, mainly oxygen-based bleaches such as percarbonate or hydrogen peroxide are used. These bleaches oxidize the organic colors from the dirt in the laundry and discolor them. Bleach activators such as tetraacetylethylenediamine (TAED) increase the efficacy of bleaching agents at low temperatures. Fortunately, chlorine bleach is being used less and less in the conventional detergent brands. The fragrances in the detergents give the laundry a pleasant scent and cover the unpleasant odors of the wash liquor. However, various perfumes added to the detergent such as limonene or geraniol can cause allergies. As a filler for pulverulent detergents mainly sodium sulfates are used. They ensures a good flowability, good dosage and solubility of the product. For the actual cleaning they have no effect. However, sodium sulphate can not be biodegraded easily and contributes to the salinity of the waters, which in turn interferes with the equilibrium of the freshwater flora and fauna. If you want to avoid fillers, you better take a liquid detergent. Optical brighteners deceive our eye. During the washing process, they are drawn on the fiber of the textile and remain there. They convert the invisible ultraviolet light into visible blue light. Mixed with the complementary color yellow of the laundry, a radiant white results for the human eye: A deception without any washing effect. The problem with optical brighteners is that they get into the wastewater and are difficult to biodegrade. Direct skin contact is suspected to cause a hormonal effect by some classes of brighteners. Ecologically produced textiles and detergents therefore do not use optical brighteners. from Vermont; 0% fragrances, dyes, or artificial brighteners. from Austin, Texas; No phosphates, sulfates, petrochemicals, animal by-products, chlorine, perfumes, dyes, allergens. Phosphate-free, chlorine-free, enzyme-free, borine-free, cocamide DEA-free, dye-free, and free of petroleum ingredients. from Racine, WI; Free of Phthalates, Chlorine, Formaldehyde, Artificial Colors, Parabens, Animal Derived Ingredients, MEA, DEA, Optical Brighteners. from King of Prussia, PA; Vegan, Kosher, Cruelty free, Phosphate free, Dye free, Perfume free, No harmful synthetics, UV brightener free.